Processing of palm oil mills effluent (POME) consumes considerable amounts of energy. POME contains organic materials that can be converted into methane gas as an energy source. This study aimed at the development of energy self-sufficiency concept in the POME processing by harvesting the energy contained in the generated biogas. The development of this concept was carried out by analyzing the Chemical Oxygen Demand (COD) balance in POME processing, assessing energy potential, calculating energy requirements, and constructing an energy-independent POME treatment model. The results of this study showed that the electrical energy that can be generated from the processing of POME was 70 kW per hour, while the energy requirement is 39 kWh. The energy potential can meet the energy needs, with an energy surplus of 30 kW per hour. This study explained that the processing of POME can be self-sufficient by degrading organic matter into methane gas using Upflow Anaerobic Sludge Blanket Reactor (UASBR). Keywords: methane, POME, COD model, closed system, electricity, UASBR. Pengolahan limbah cair kelapa sawit menggunakan energi dalam jumlah besar. Limbah cair kelapa sawit mengandung bahan organik yang dapat dikonversi menjadi gas metana sebagai sumber energi. Penelitian ini bertujuan untuk mengembangkan konsep mandiri energi pada pengolahan limbah cair kelapa sawit dengan memanen energi yang terdapat dalam biogas yang terbentuk selama pengolahan limbah cair. Pengembangan konsep ini dilakukan dengan menganalisis keseimbangan COD di dalam limbah cair, mengkaji potensi energi, menghitung kebutuhan energi, dan membangun pengolahan limbah cair kelapa sawit mandiri energi. Hasil studi ini menunjukkan bahwa energi listrik yang dapat dihasilkan dari proses pengolahan limbah cair kelapa sawit adalah sebesar 70 kW per jam, sedangkan kebutuhan energi adalah sebesar 39 kWh. Potensi energi tersebut dapat memenuhi kebutuhan energi, bahkan terdapat surplus energi sebesar 30 kW per jam. Studi ini menjelaskan bahwa pengolahan limbah cair kelapa sawit dapat mandiri energi dengan mendegradasi bahan organik menjadi gas metana menggunakan Upflow Anaerobic Sludge Blanket Reactor (UASBR). Tao, X.C. (2014). Energy consumption in wastewater treatment plants in China. [Conference paper]. [May 2012 in conference World Congress on Water, Climate and Energy at Dublin, Ireland]. [diunduh pada 31 Agustus 2017]. Tersedia pada:https://www.researchgate.net/publication/266146909. Ahmed, Y., Yaakob, Z., Akhtar, P., & Sopian K. (2015). Production of biogas and performance evaluation of axisting treatment processes in palm oil mill effluent (POME). Journal of Renewable and Sustainable Energy Reviews, 42, 1260-1278. Demirel, B. & Scherer, P. (2008). The roles of acetotrophic and hydrogenotrophic methanogens during anaerobic conversion of biomass to methane a review. Rev Environ Sci Biotechnol,7, 173-190. Wong, Y.S., Kadir, M.O.A.B, & Teng, T.T. (2009). Biological kinetics evaluation of anaerobic stabilization pond treathment of palm oil mill effluent. Bioresource Technology, 100 (21), 4969-4975. Borja, R. & Banks, C.J. (1994). Treatment of palm oil mill effluent by upflow anaerobic filtration. Journal of Chem Technol Biotechnol., 61, 103-109. Wu, T.Y., Mohammad, A., Jahim, J. & Anuar N. (2007). Palm oil mill effluent (POME) treatment and bioresources recovery using ultrafiltration membrane: effect of pressure on membrane fouling. Biochemical Engineering Journal, 35(9), 309-317. Ma, A.N. (1999). Treatment of palm oil mill effluent. Oil palm and environment: Malaysia perspective. Malaysia Oil Palm Growers’Council, p. 277. Bantacut, T. & Pasaribu, H. (2015). Aliran tertutup massa dan potensi energi pada produksi CPO. Jurnal Teknologi Industri Pertanian, 25(3), 215-226. Khemkhao, M., Nuntakumjorn, B., Techkarnjanaruk, S. (2011). Effect of chitosan on UASB treating POME during a transition from mesophilic to thermophilic conditions. Bioresource Technology, 102(7), 4674–4681. Ma, A.N. (2000). Environment management for the palm oil industry. Palm Oil Develop. 30,1–10. Shizas, I. Bagley, D.M. (2004). Experimental determination of energy content of unknown organics in municipal wastewater streams. Journal of Energy Engineering, 130(2),45–53. Shoener, B.D., Bradley, I.M., Cusicka, R.D. and Guest, J.S. (2014). Energy positive domestic wastewater treatment: The roles of anaerobic and phototrophic technologies. Environmental Science: Processes & Impacts, 16, 1204-1222. Annamalia, K. & Puri, I.K. (2002). Advanced Thermodynamics, CRC Series in Computational Mechanics and Applied Analysis. Amerika Serikat (US): CSC Press. Lam, L. & Lee, K. (2011). Renewable and sustainable bioenergies production from palm oil mill effluent (POME): Win-win strategies toward better environmental protection. Journal of Biotechnology, 29, 124-141. Tabassum, S., Zhang, Y., Zhang, Z. (2015). An integrated method for palm oil mill effluent (POME) treatment for achieving zero liquid discharge-A pilot study. Journal of Cleaner Production, 95, 148-155. Chaisri, R., Boonsawang, P., Prasertsan, P., Chaiprapat, S. (2007). Effect of organic loading rate on methane and volatile fatty acids productions from anaerobic reatment of palm oil mill effluent in UASB and UFAF reactors. Songklanakarin J. Sci.Technol. 29(2), 311-323. Paping, L. (1995). Energiebesparing door schone koelers, Proceedings of Watersymposion. Breda (NL): (23-47). [ECDGJRC] European Commission Directorate-General Joint Research Centre. 2000. Integrated Pollution Prevention and Control Reference Document on the application of Best Available Techniques to Industrial Cooling Systems. Institute for prospective Technological Studies (Seville) Technologies for Sustainable Development European IPPC Bureau. Spanyol (ES): ECDGJRC. Ahmad, A., Ghufran, R., Abd Wahid, Z. (2011). Role of calcium oxide in sludge granulation and methanogenesis for the treatment of palm oil mill effluent using UASB reactor. Journal of Hazard Material. 98, 40–48. Tchobanoglus, G., Burton, F., Stense, H. (2003). Wastewater Engineering: Treatment and Reuse, 4th Edition, New York (US): McGraw Hill Companies Inc.
Yasar, A., Ahmad, N., Chaudhry, M.N. & Khan, A. (2007). Sludge granulation and efficiency of phase separator in UASB reactor treating combined industrial effluent. Journal of Environmental Sciences, 19(5), 553-558. Chou, K.W., Tan, S.W., Morad, N., Tow, T.T., Kadir, M.O.A. & Ismail, N. (2016). Aerobic post-treatment of different anaerobically digested palm oil mill effluent (POME). 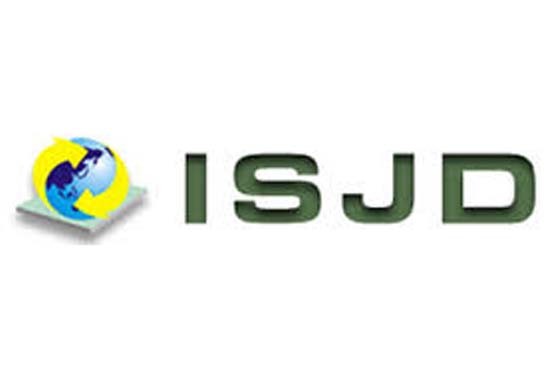 International Journal of Environmental Science and Development, 7(7), 511-515. Wang, L.K., Hung, Y.T., Lo, H.H. & Yapijakis, C. (2004). Handbook of Industry and Hazardous Wastes Treatment. Texas (US): CRC Press. Ahmad, D., Aziz, M., Vijayaraghavan, K. 2007. Aerobic treatment of palm oil mill effluent. Journal of Environmental Management, 82, 24-31. Damayanti, A., Ujang, Z., Salim, M.R., Olsson, G., Sulaiman, A.Z. (2010). Respirometric analysis of activated sludge model from palm oil mill effluent. Journal of Bioresource Technology, 101, 144-149. [KMNLH] Kementrian Lingkungan Hidup. 2014. Salinan Peraturan Keputusan Menteri Negara Lingkungan Hidup Nomor 5 Tahun 2014 tentang Baku mutu air limbah. Jakarta (ID): KMNLH. Borja, R. & Banks, C.J. (1994). Anaerobic digestion of palm oil mill effluent using an up flow anaerobic sludge blanket reactor. Journal of Biomass and Bioenergy, 6(5), 381-389. Cangel, Y.A. & Boles, M.A. (2002). Thermodynamics: An Engineering Approach 4th Edition in SI Units. Singapore (SI): McGraw-Hill. Bantacut, T. & Novitasari, D. (2016). Energy and water self-sufficiency assessment of the white sugar production process in Indonesia using a complex mass balance model. Journal of Cleaner Production, 126,478-492. Alibaba.com. Pompa ZWL centrifugal sewage portable wastewater treatment pump for remote settlement. [Internet]. [Waktu unduh 2017 Agustus 5]. Tersedia pada: https://www.alibaba.com/product-detail/ZWL-centrifugal-sewage-portable wastewaterPump_1602963465.html?spm=a2700.7724838.2017115.37.Ekyb98. Foxenviro. Oil-water separator pump. [Internet]. [Diunduh pada: 2017 Agustus 5]. Tersedia pada: http://www.foxenviro.com.au/specifications/FXP1000-diaphragm-pump-spec.pdf. Coopers, U. L. 1998. BREF-document for cooling systems order of Eurovent, the European Committee of Air Handling and Refrigeration Equipment Manufacturers. Report number: 61350027. Chuanfan.com. Centrifugal Blower – Turbo Blower. [Internet]. [Diunduh pada: 2017 Agustus 5]. Tersedia pada:http://www.chuanfan.com/03-tb.html. Larsson V. 2011. Energy Savings with a New Aeration and Control System in a Mid-Size Swedish Wastewater Treatment Plant (Online Book). Swedia (SE): Uppsala University. Yacob, S., Shirai Y., Hassan, M.A., Wakisaka, M. & Subash, S. (2006). Start-up operation of semi research facilities. commercial closed anaerobic digester for palm oil mill effluent treatment. Process Biochemistry, 41: 962-964. Rupani, P.F., Singh, R.P.,Ibrahim, M.H. & Esa, N. (2010). Review of Current Palm Oil Mill Effluent (POME) Treatment Methods: Vermicomposting as a Sustainable Practice. World Applied Sciences Journal, 10(10): 1190-1201.